MBJ: Would you please share with us your vision for PledgeMusic? Jayce Varden: Increasingly, and as a result of access to social media, the creative experience has become the value point around music. The recorded product could be considered devalued from a commercial perspective. But fans want to be a part of the process. What we do at PledgeMusic is give access to a creative project, a video, or the experience of a tour. Our focus is on creating an experience in inclusion—the time on the bus, the in-studio time, and the moments backstage. PledgeMusic provides the fan an ability to be a fly on the wall and to feel even closer to the artist than they already do. In fact, we take all of the social media content that artists would normally not monetize and contextualize it, and then build an interactive community around this. On the one hand, we empower fans to experience the making of an album, a tour, or a music video. On the other hand, we enable the artist to monetize content that would otherwise go to waste. MBJ: Could you tell us about PledgeMusic’s origins? JV: [Founder] Benji Rogers and I are best friends and he was the best man at my wedding. We met as students at the Berklee College of Music in the early 1990s, lived together in the Commonwealth Ave dorms, and played in the same bands. Then Benji moved to New York. I came back to Boston and got a Corporate Systems degree from Boston College. I was playing in bands, working in restaurants, and living the musician’s dream for a while too. Benji had been doing the same in New York. But he came up with the idea of PledgeMusic after I finished at BC, and I remember we sketched it together on coffee shop napkins. We thought it could work, brought in some friends and advisors, and then came up with a proper business plan. We quickly got the initial investment to build PledgeMusic in the summer of 2008 and launched in July 2009. Benji’s last EP was the first project we ran. We wanted to make sure that the payment mechanisms worked, and see how the updates of the project looked when posted. A large amount of the money he raised went to Amnesty International. As crowdfunding and Kickstater became ubiquitous, we realized there was little follow-through from project managers; rewards were not being delivered. We knew we weren’t going to be a Kickstarter and, by nature, we had customer service mentality. This is the area that we are in the process of growing right now tenfold. We want to make sure that people feel secure using PledgeMusic. Our success rate with A&R projects is 91%, which is unheard of in the crowdfunding industry. A large part of that success is explained by our curated approach to each project. We are still music geeks at heart, constantly going after our influences and trying to sell them on the platform. We always knew our job was to fill that platform with the work of musicians we absolutely love. And four years later we are still around. MBJ: PledgeMusic is considered mostly a crowdfunding platform. Is this right? JV: Crowdfunding is the payment mechanism. We absolutely have ties to crowdfunding, but when you shift the focus from the transaction to the experience, it becomes more a direct-to-fan business. We emphasize that crowdfunding is just another way to directly engage fans, and this is the point we often make to our artists. People who are quick to say that crowdfunding is an answer [for marketplace success] should be aware that they better have answers themselves to a litany of questions and issues that will likely crop up during the campaign. You really need a thought out communication and content strategy. As a marketplace brand, PledgeMusic is focused on getting more out of the artists we launch on our platform—drawing out their creativity and working with them to create a fuller experience for their fans. So it is a much more customer intensive business model than Kickstarter or IndieGogo because our artists are never alone and we work very hard with them from start to finish. MBJ: How else does PledgeMusic create value for artists? JV: The biggest value of PledgeMusic is our human capital. We treat these projects as marketing plans; each project has a dedicated representative. We offer artists several platform tools as well. For example, our data-capture widgets are buttons that offer a .zip file or audio track in exchange for an email address, Facebook like, or follow on Twitter. We also offer an email program for artists that have yet to understand the basics of email marketing. We aggregate subscribers in a PledgeMusic system and facilitate direct to fan communication. The proof of concept is the community we build for the artist—that is what pushes these campaigns. Social media integration is part of the package. We also become a viral marketing tool for the record labels. Instead of constantly asking fans to come back to the platform, we can automate the process of exposure for labels. 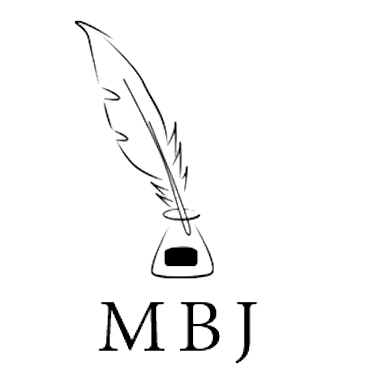 MBJ: You’re known as a global platform. Is that a big differentiator for PledgeMusic? JV: We founded the company in the UK. That happened to be where Benji Rogers was. We quickly found a great team of music industry veterans that saw the value in what we were trying to create and were willing to jump ship to join us. Currently we have offices in London, New York, LA, Boston, and Toronto. We also have people on the ground throughout Europe and Australia. PayPal is our main payment provider, which allows us to deal in nearly any currency. We are also a global company both in terms of the artists that use our platform and our marketing outreach. MBJ: How do you set monetary targets for individual projects? JV: We have a backend algorithm that factors in the size of an artist’s email list as well as the number of Facebook likes and twitter followers. The algorithm returns a range of possible goals. It is not definitive, but the goal setting starts there. Often an artist tells us “the album is already complete; I just want to use [PledgeMusic] as a mechanism towards supporting my marketing efforts.” We set an amount that we believe they’re capable of collecting; many of them would have put this amount anyway on their credit card to offset their costs. Originally, we had hard campaign lengths, for example, 90 days. But we have since relaxed this. Leaving a campaign open leads to additional content that people want to see and that people want to share. We have abundant amounts of data; our marketing effort is about to get exponentially better as we pull more pieces together. We know the key factors and best practices that can make a project successful, but as we crunch through the numbers, we are becoming even more granular. MBJ: How does a PledgeMusic campaign benefit artists in the long-term? JV: Provided they have run a truly engaged campaign, and also that they have fulfilled their deliverables, our artists leave PledgeMusic in a very strong position. In fact, we’ve seen returning second or third time campaigns. PledgeMusic is much more than a fundraising well. If an artist has created an experience, that is repeatable. PledgeMusic does not just fund something, it grows fanbases. We continue to promote the artists in our ecosystem. For example, we promote the Ben Folds Five playing at the Barclay’s center or Will Daley, a local artist who’s going to France. That’s fun—being able to carry them all along the way with us. Because we allow the artist to own the data, and because we are there to help them understand what it means, it becomes a sustainable proposition for artists. MBJ: How do you fare with the record labels? JV: We have tried to get them to understand that we do not cannibalize existing sales. Labels are incredible at selling to consumers, but they are not good at selling to super fans. We are in the market for super fans, not iTunes where fans spend $9.99 if they buy an album. Our average spend-per-fan is over 58 dollars in the US. A direct-to-consumer platform, depending on what the product is, fetches a maximum of 27 dollars. And Nielsen Nielsen Entertainment shows that the most hardened superfans spend over two-grand on music per year. We have up-streamed many artists into independent and major record label deals—as many as 100 across the globe. They view us as a risk mitigation tool and as an A&R source. The labels are the next logical step for their careers. We also have a fair amount of heritage-type artists who use us because they have already cultivated their own fanbase. They have decided that they do not want to go through the major label channel again and they may have a team in place already that can achieve the same levels of distribution. For them, PledgeMusic becomes a marketing tool. Throughout the creative process, they can create an album that generates profit before it hits the streets. Overall, it is a very big and ongoing conversation. Labels are very interested in the crowdfunding mechanism. There are aspects of their old system of doing business that carry over and make it difficult for our two platforms to be completely married to theirs. But that is the next step. MBJ: How do you make money? JV: We charge a 15% commission based on the revenue that the project generates, and we only take commissions from successful projects. MBJ: Are you accountable too to the pledgers? JV: Depending on the size of the project. Every project has its own unique subtleties. If a project has hit its 100% threshold and for some reason the band cannot follow through, there are always a small number of pledgers that do not care to get their money back. A failed project will have a portion of pledgers who aren’t interested in getting re-funded either. We are willing to go out of our way to refund them out of our own pocket. We want pledgers to have a great experience. [Marketing guru] Seth Godin has said that “the customer that complains doesn’t want their money back, they want your attention.” We have people focused on making sure the customer gets the attention they want. MBJ: Annually, how many projects does Pledge Music run? JV: Between 800 and 1,200 campaigns a year. For us, scaling [growing the business] is about internal knowledge—bringing in new people and developing our own campaign managers But there are myriad tools and tricks and marketing techniques that they need to understand about our processes before we set them free to run their projects. Also, knowing the amount of transactions we do on the platform tells us how many customer service representatives we need to have in place. So scaling is a calculated path choice. MBJ: How do you organize your campaign managers? JV: Currently, many of our campaign managers are also A&R specialists so they end up running the projects that they bring in. We have certain people that work really well with indie bands or singer-songwriters, and then we have our rock guys. Across the board, we have not yet cracked urban or hip-hop campaigns. We are furiously trying to understand if that’s a function of our approach, or whether direct-to-fan resonates with fans of that genre. MBJ: Finally, couldn’t artists run their own direct-to-fan business themselves? JV: The tools are out there, but understanding them is for the few. Besides, as the size of a project grows, you have to delegate work to others. If an artist has 5,000 pledges, they will not be stuffing envelopes for that amount. Pledge Music is there to do the heavy lifting. And for everyone in the company, it is a labor of love.